Moonline Property ordered a 3m x 3m Impact Pro Package with Express-40 frame for their Christmas Fair sponsorship event. 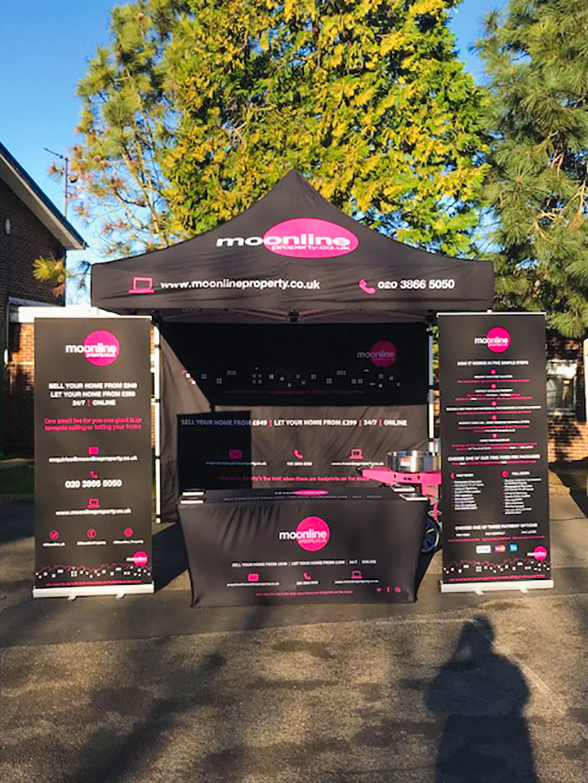 The printed gazebo displays full colour sublimation printing, the pink & white of their branding standing out brilliantly against the black backdrop. They also chose a stretch fabric table cover which fits perfectly around their trestle table. To top it all off they also brought along a candy floss maker! 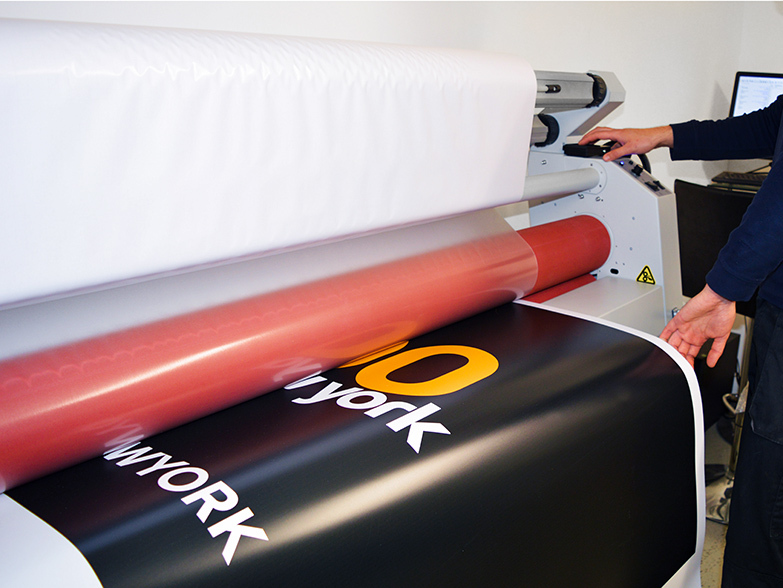 Our in-house printing facilities allow us to produce quality products fast. 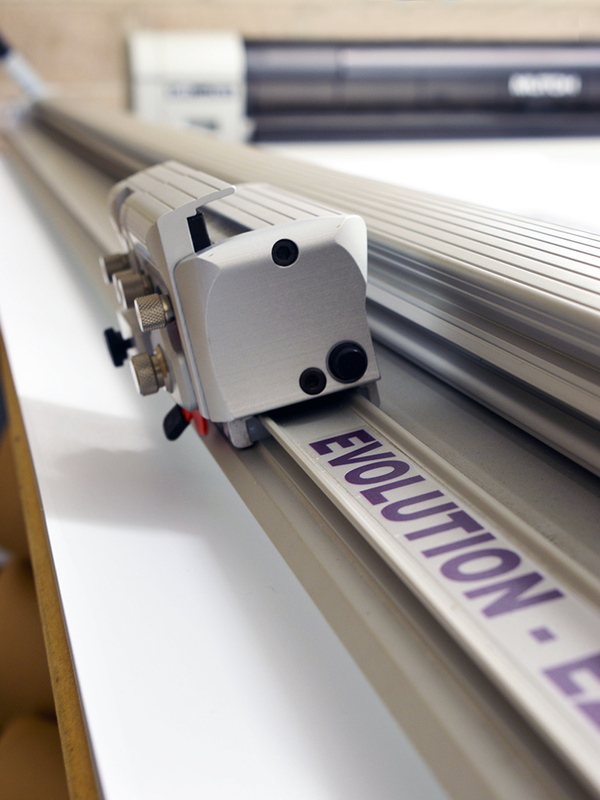 Using our large format printer and laminator we print roller banners, PVC banners and pop-up counters here at our Bristol office. These high quality products offer compact, portable and affordable solutions to get your brand noticed. 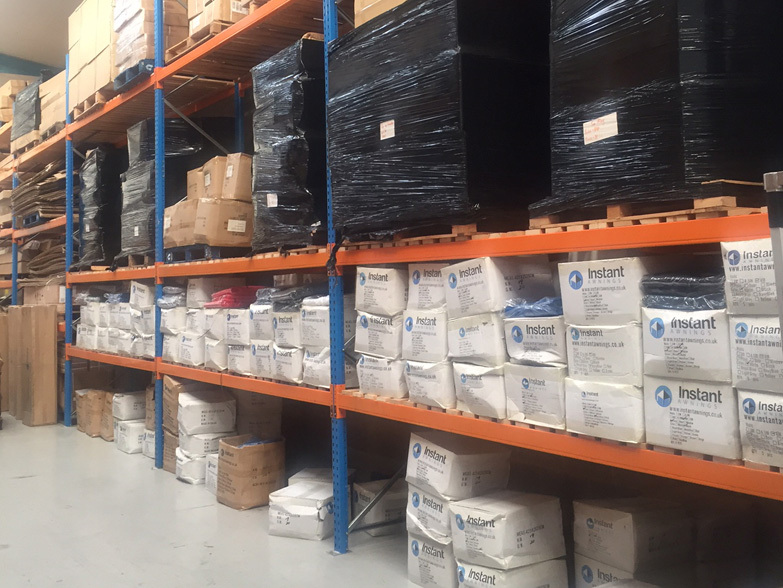 Contact our team if you have a short deadline as some products can be dispatched the same day if the order is confirmed by 10am. Here at Instant Promotion (UK) Ltd we love a challenge, and with bespoke options across our full range of products there's very little that our highly skilled design and production teams can't do! If you have a project you would like to discuss, the meeting room at our Bristol office is the perfect place to meet our experienced sales team and start turning ideas into reality! 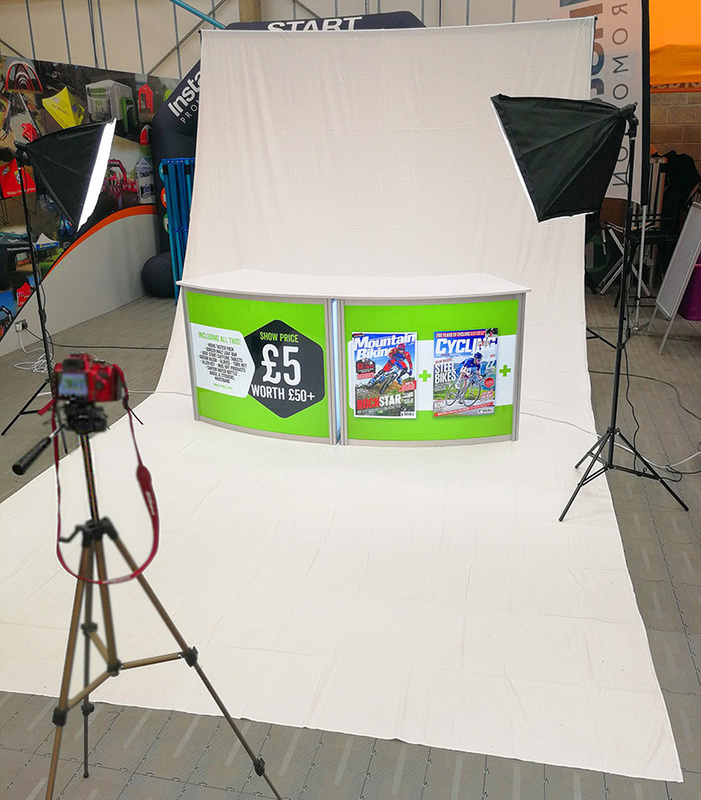 As the outdoor events season draws to an end, we’ve started getting the camera out to capture photos of Instant Promotion’s latest products and update some of our industry leading ranges. Over the next few months we will be updating website photos, instruction documents, product specs, video guides and lots more. Watch this space! If you have one or two good photos of our products in action please email them to enquiries@instantpromotion.co.uk and if any get added to our website we will send you a £30 M&S voucher as a thank you. Instant Promotion (UK) Ltd have worked with Canal and River Trust across their national waterways divisions since 2012 supplying branded gazebos, flags and portable counters. However it wasn’t until July this year they approached us with a more unusual request. 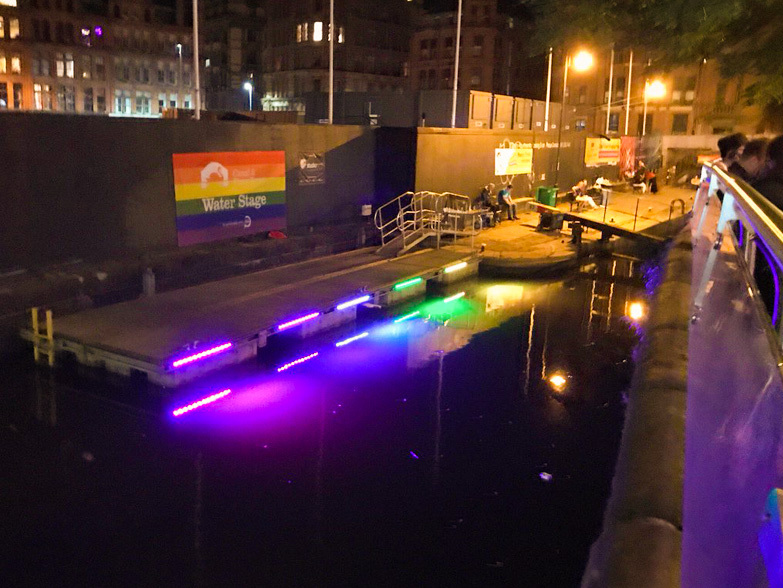 In support of the Manchester Pride Festival over the bank holiday August weekend, they had a vision of branding their canals that ran through the famous Gay Village and wanted our help to make this a reality. As you can imagine, branding a canal isn’t the simplest of tasks, but not to ever turn down an unusual and interesting request we headed up to Manchester to take measurements, meet with the clients and compile quote options. 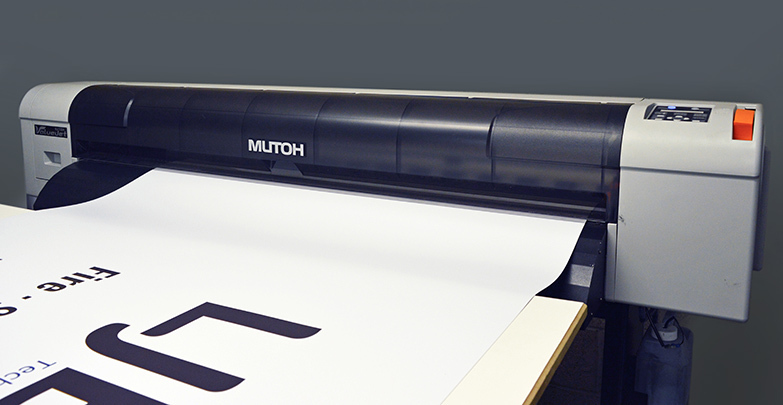 Working within budgetary requirements and council restrictions regarding access, Instant Promotion manufactured multiple custom dye sublimation 420D mesh banners that could be wrapped over the canal bridges and walls. 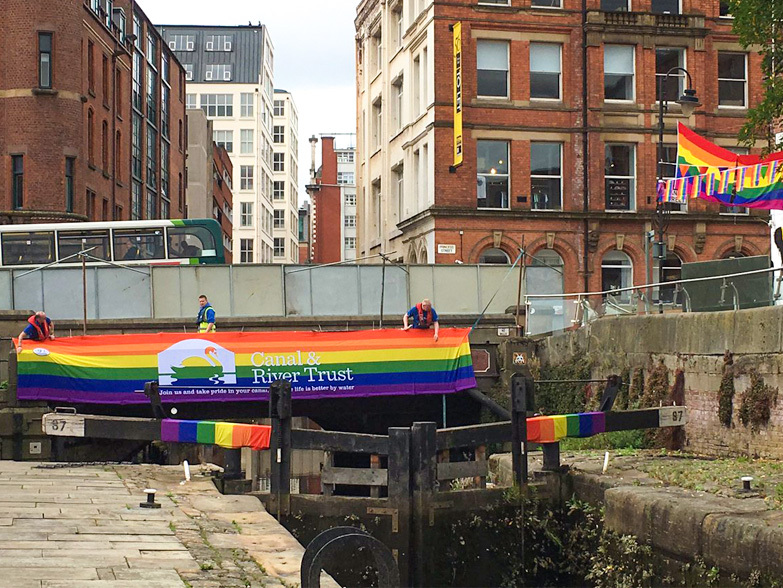 Canal lock arms were also fitted with branded ‘socks’ in the bright, vibrant Manchester Pride Colours. Each banner was hemmed and eyeleted with reinforced backing around the edges to ensure additional durability and weighted tie down kits ensured the banners were attached safely and correctly tensioned without having to be drilled or pegged into the brick work. Canal and River Trust were delighted with the final result and with all of our mesh banners being 100% reusable they have been stored away ready for next year’s event. 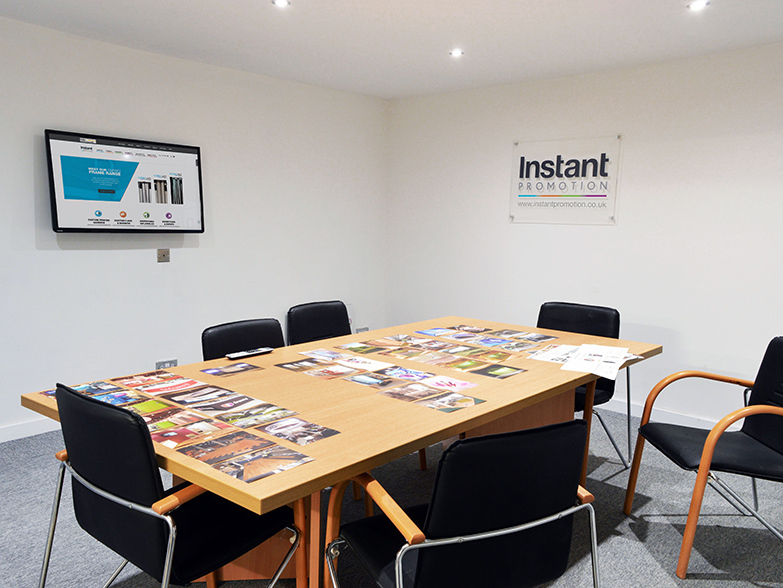 At Instant Promotion we love custom projects and as part of our rapidly growing Instant Exhibitions division we are always looking for the next challenge. Best Estates gazebo ready in 6 days! When Best Estates contacted Instant Promotion to see if we could deliver a branded gazebo through priority production in 6 working days for the Ipswich Building Society Twilight 10k Race this really put us to the test. From designers creating visuals, production staff loading artwork onto print templates, six stages of dye sublimation production, three treatment processes, packing and dispatch, this order needed the whole team to work together and ensure there were no process failures that could have led to delay. 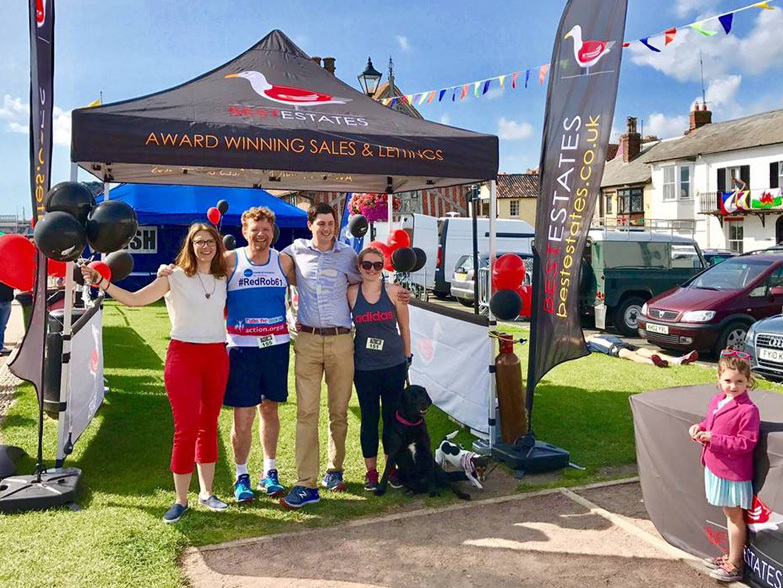 And as you can see from the photos, the results speak for themselves and our series 40 3x3m branded gazebo with half walls could be seen at the end of the race looking great with 3.5m feather flags adding further presence and brand visibility. 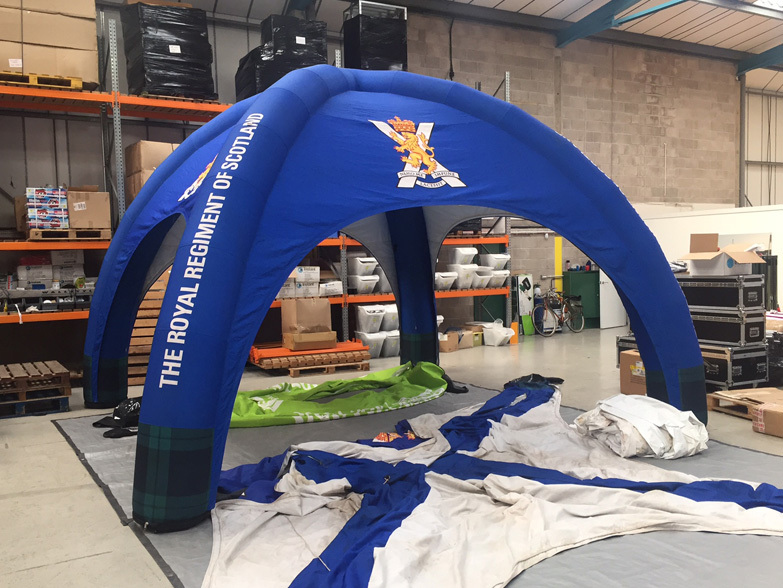 With the quickest dye sublimation gazebo production in the UK we challenge you to beat our lead times against any of our competitors, and we won’t be beaten on quality either. 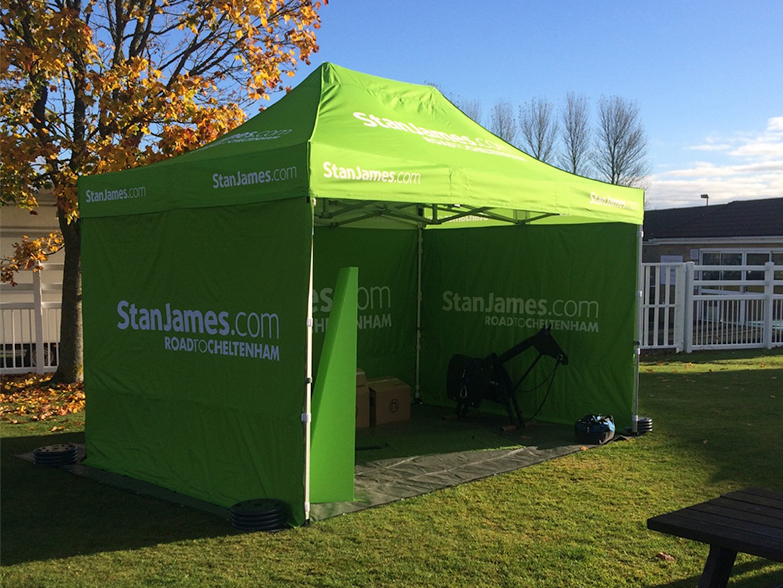 In addition to supplying a fully branded 3m x 4.5m awning to Purity for a number of events at various UK racecourses where the Leading Bookmaker, Stan James, is one of the main sponsors, Purity also asked Instant Promotion to provide a storage and Set Up service at each event over a 5 month period. Three of the events are being held at Cheltenham Racecourse where the event organisers specified late in the day that the awning had to have rigid side walls. Having already produced the 3m x 4.5m awning with normal walls, Instant Promotion were able to come up with a solution that provided three very rigid side walls at short notice including bespoke branded walls and end covers, all done in time for the first Cheltenham event. Instant Promotion were also able to include a synthetic Grass floor to enhance and compliment the overall appearance of the awning at this prestigious racing event. To further supplement the stability of the standard and Rigid wall awnings, Instant Promotion also designed and produced a complete set of bespoke steel base plates on which to mount several 20kg weight plates to facilitate a higher loading per leg without creating a Health and Safety issue. We are looking forward to working with the good people at Purity on setting up for the forthcoming events. As well as supplying Instant Awnings and Instant inflatables to the UK market, Instant Promotion (UK) Ltd supply custom products all over Europe and even further afield. We have very competitive international shipping accounts and always only charge at cost price to keep unwanted carriage bills to a minimum. Typically we deliver to Germany, Spain, the Netherlands and France, but more recent destinations have also Included Israel, Malta, Poland and Russia. 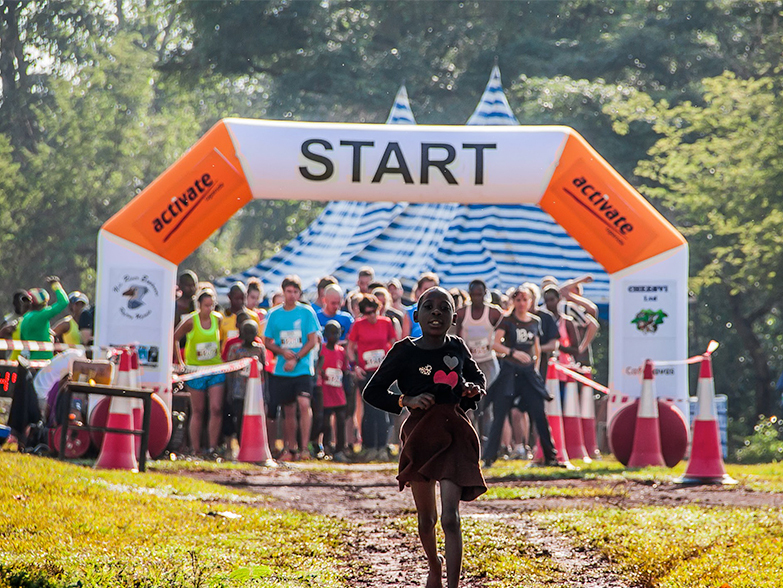 Last month we received our first ever Inflatable Arch order from Activate Uganda for their Source of the Nile Trail Run Challenge 2016. As you can see from the photos, the team in Uganda put on a great event and have since requested further promotional flags and banners to aid their company growth. Not sure we would fancy running in such humid conditions so huge admiration goes to everyone who took part in the race! With twelve heavy duty gazebo frame sizes across four ranges, five anodised aluminium color options and fourteen materials colours, it is no surprise Instant Promotion need an 11,500 square foot warehouse to ensure customers have complete choice, every time. Unlike our competitors, we offer our customers complete choice when it comes to sidewalls - they can configure a gazebo package with as many window, plain and door walls as required. In the future if additional walls are needed they can be purchased on an individual basis. Custom printed gazebo walls can also be purchased separately and added into a stock package if budget needs to be closely managed. Every week we get calls from customers who have bought from competitors and are told that if they want a new wall they need to buy a set, or need a new frame leg but instead must buy a new frame. 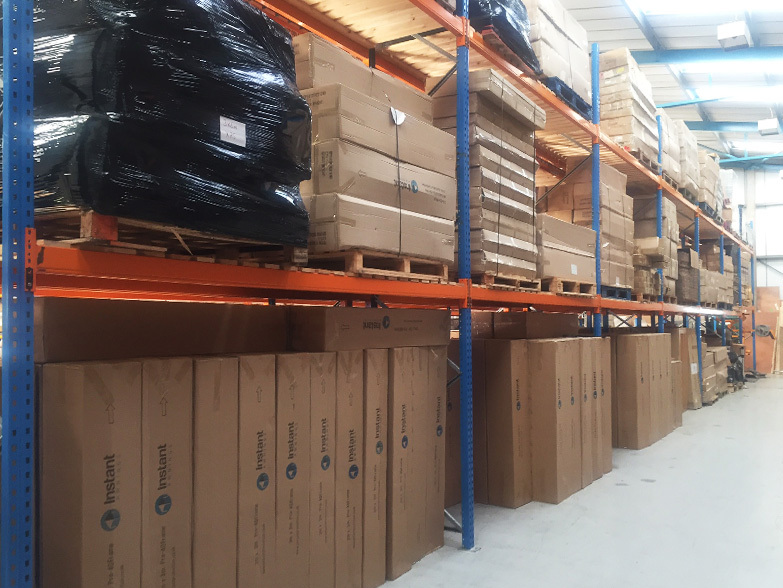 We stock every material and frame component individually so you only ever receive exactly what you need! 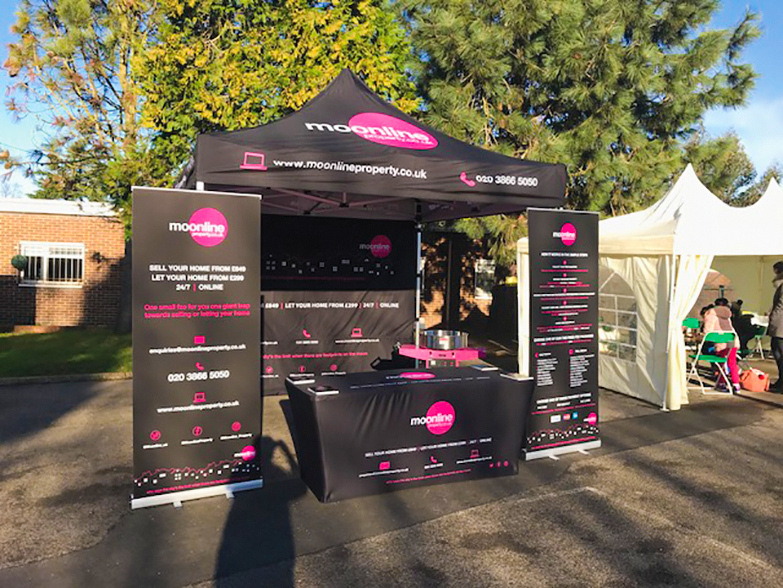 Although we specialise in branding, our customers’ ability to customise their gazebo to their needs isn’t just limited to printing requirements. Instant Promotion understand that whether used recreationally in the back garden, as a market stall on the road side or at the NEC or Excel Centre for a product launch, you will have specific demands of your Instant Awning and it is up to us to provide the flexibility you require. 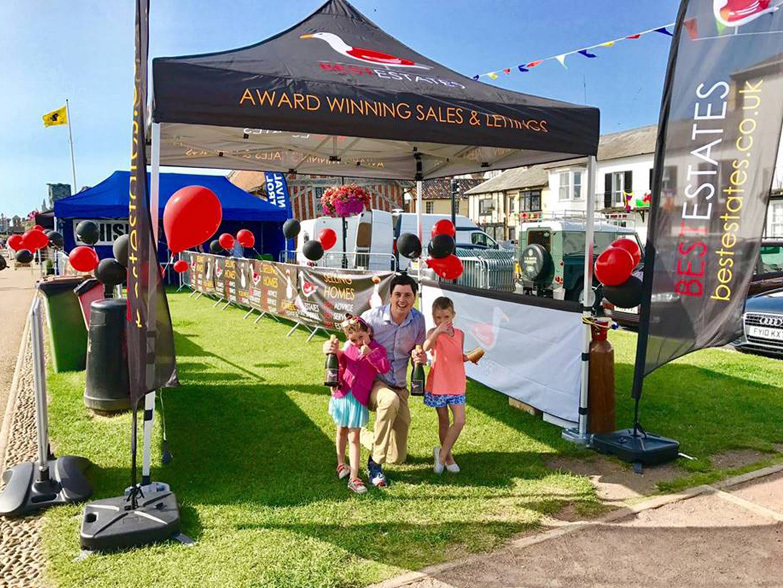 Whether you have purchased an Instant Awning or Instant Inflatable, Instant Promotion offer the best after care in the UK across our comprehensive product range. As well as warranty periods of up to 6 years we offer all our customers ongoing servicing and repair options to ensure your awnings, spider domes, arches and inflatable gazebos stay in peak condition and don’t let you down when you need them most. It goes without saying that we will always honour warranties and guarantees in the unlikely event anything were to go wrong. However we have also found that various divisions across the military and companies such as Calor, the Samaritans, Milwaukee and Peugeot are looking for an even greater level of after care. Once or even twice a year our loyal customers are now coming to us with their products and asking for a complete clean and comprehensive service. Tasks include waterproofing and UV treating materials, valve replacements, seam repairs and strengthening, re-stitching, bladder assessment, pump replacement and list goes on. The photo shows a spider dome from The Royal Regiment of Scotland who have asked us to clean and UV treat their dome, before it is then put into storage for the winter months. As we custom make all of our products, we really do know them inside out which means if you do need any support, our specialist team are just a phone call away.